2015. 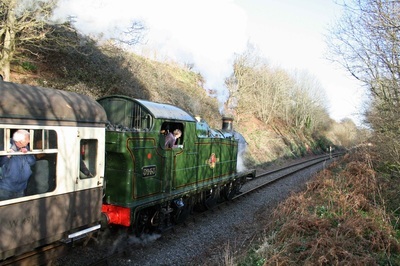 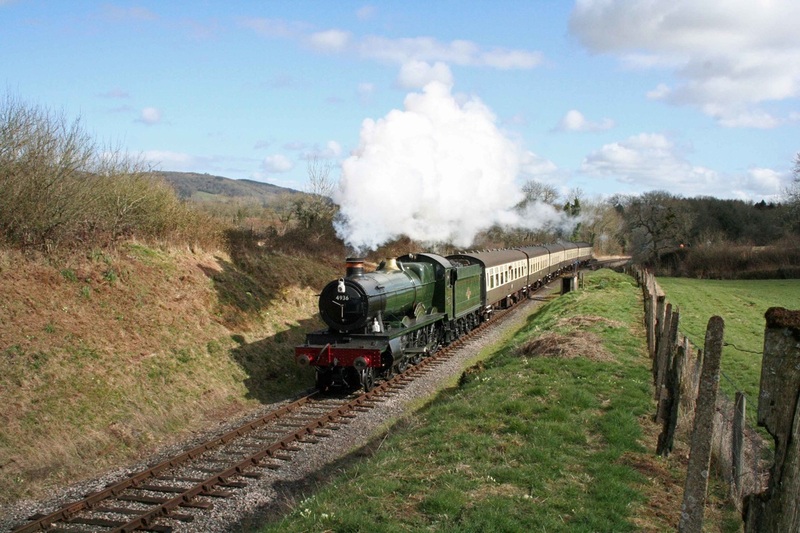 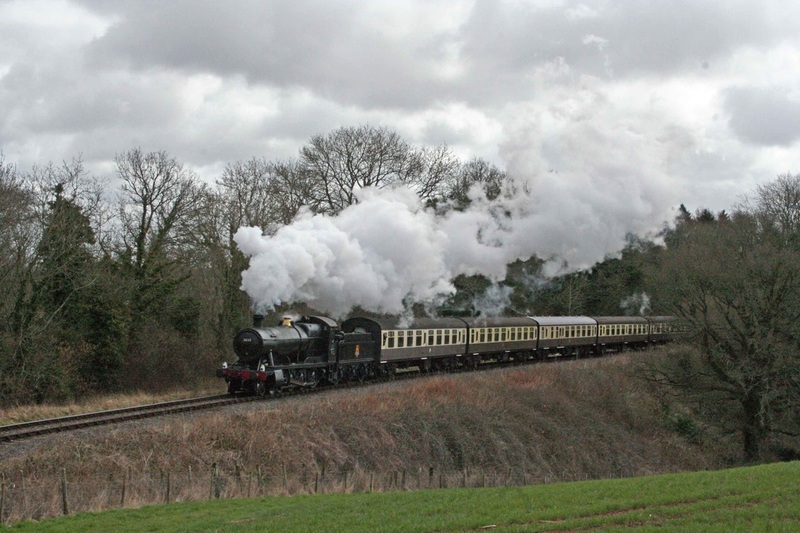 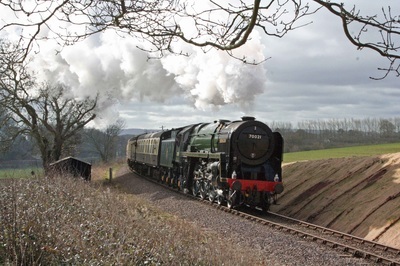 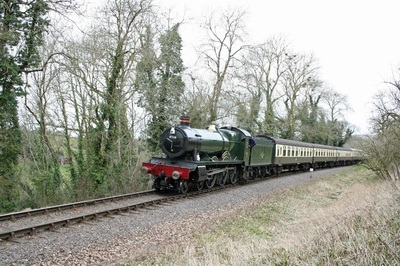 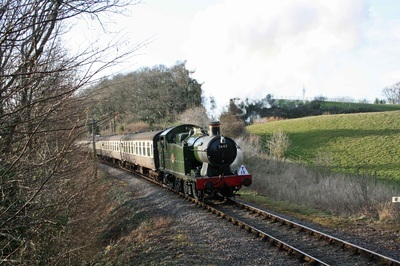 West Somerset Railway - Spring Gala. 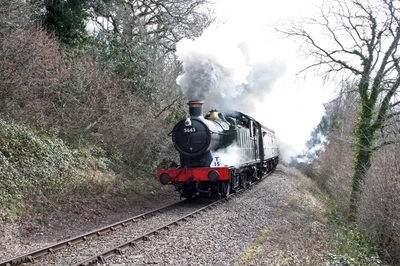 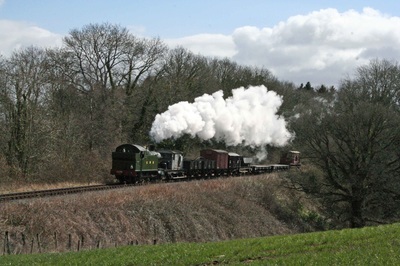 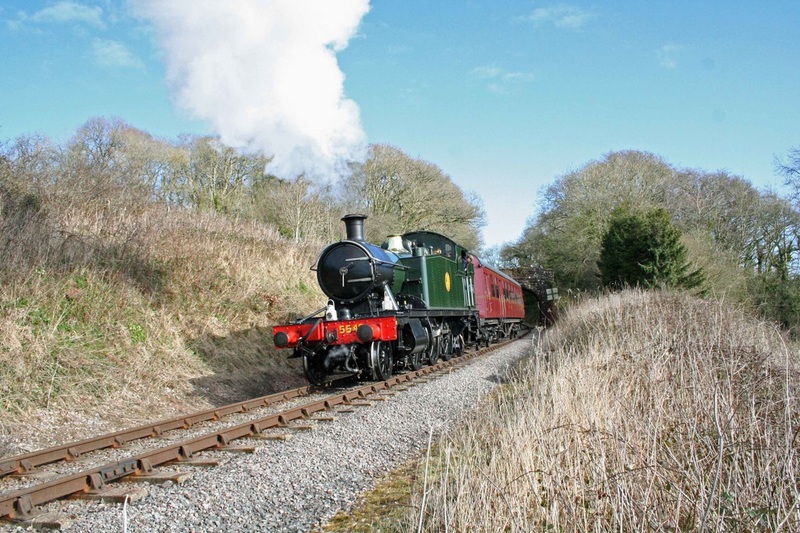 The theme for this WSR Spring Steam Gala is "Steam in South Wales". 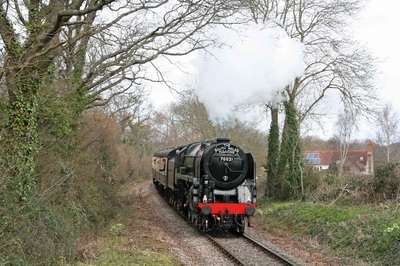 The visiting engines were: GWR 2-8-0t 4270, GWR 2-6-2t 5542, GWR 0-6-2t 5643, Ivatt 2MT 2-6-0 46521 and BR Pacific 70000 "Britannia (running as 70021 "Morning Star”). From the home fleet: GWR 2-8-0 3850, GWR 2-6-2t 4160, GWR 4-6-0 4936 "Kinlet Hall”, GWR 4-6-0 6960 "Raveningham Hall” and GWR 4-6-0 7828 "Odney Manor”.